It's that time of year that names are picked out of a hat and office workers are stumped on what to get their boss or co-worker that they know little about. It's Secret Santa Time! Have you got a bah-humbug co-worker or someone who has been very naughty this Christmas? A Lump of Coal is perfect for them. Let them know that it is time perk up, get in the Christmas Spirit or time to make amends for their mischievous little ways. There are always one (or more) co-workers that love to become slightly more inebriated than they should be. 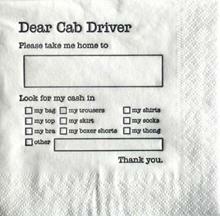 Instead of worrying about their safety at the Christmas party, hand out these napkins and let the taxi drivers do the work! Maybe you're a little stuck on what album to get that type of person that seems to have every album under the sun? Why not give them an iTunes gift card? This allows them to download whatever music they choose without the embarrassment from getting them the Queen album. Are you brave enough to give someone in your office something that's slightly risqué? The Mankini, as featured on the movie Borat, will have your office falling about in fits of laughter. Joke lotto tickets make every player a winner. Just be careful to let your co-worker know before they shout, "I'm quitting my job". Does your office get stressed? 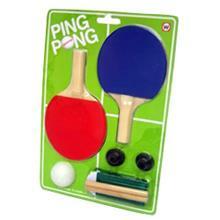 The desktop ping-pong will give your co-workers 5 minutes, 10 minutes or even an hour to relax with a fun game of ping-pong. Joke presents aside, maybe it is time to offer your hard working co-worker something they might want. The Exotic Mango indulgence comes with mango body lotion, mango shower gel and a mango coloured body puff. Just lovely. 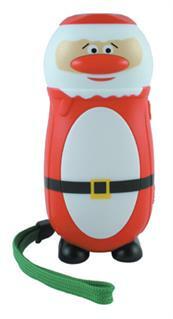 The Santa Eco Torch will never run out of battery as it is not battery powered! A little squeeze and a red light will glow from the top. Perfect for the seasonal and eco-friendly inclined. 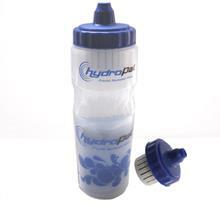 Perfectly designed for the health conscious gym goers that 'only drink bottled water', the HydroPal Filter Water Bottle will filter all chemicals out of tap water. The website states that it will save 400 plastic throwaway bottles. Wow. 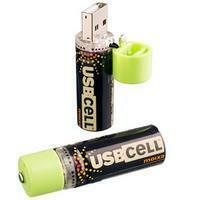 This item is an AA rechargeable battery (x2) that unbelievably takes its power from the USB port in our computer. Extremely portable and makes sure that you will never have to buy batteries again!